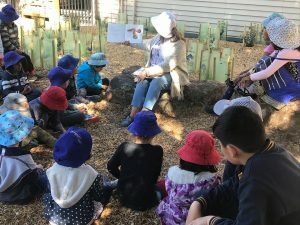 The Department of Education and Training (DET) visited GEKA Carnegie Kindergarten on Thursday 25 October, to observe practice, review documentation and to interview GEKA’s leaders. It is with the greatest of pleasure that we share with you the assessment and rating result for the GEKA Carnegie Kindergarten. We have received an outcome of EXCEEDING the National Standard in ALL SEVEN areas! When we were last rated in 2014, the service achieved a rating of ‘meeting’ the National standard in Education and Care provision. Some of you may also be aware that in February of this year, the requirements to obtain a standard of ‘exceeding’, became much more stringent, with an increased focus on embedding practice and reflection on continuous improvement. This further demonstrates what an outstanding achievement this is for the GEKA Carnegie Community. We are thrilled and congratulate everyone involved, especially our educators! The service’s positive learning culture was central to all aspects of the service’s operations. The implementation of effective processes had direct impact on the children’s health and safety, staffing arrangements and governance of the service. Each child’s overall well-being was considered when making decisions. The educators continuously reflected on ways to improve their practice and ensured all families and children were given time and importance.